It was Linda Evangelista who once caused uproar by suggesting that supermodels would not wake up for less than $10,000 a day. However, it would appear that a similar attitude is prevalent among the Italian sides participating in the Europa League. Juventus, Napoli, Palermo and Sampdoria stand on the brink of elimination from the group stages. Read those four names again. 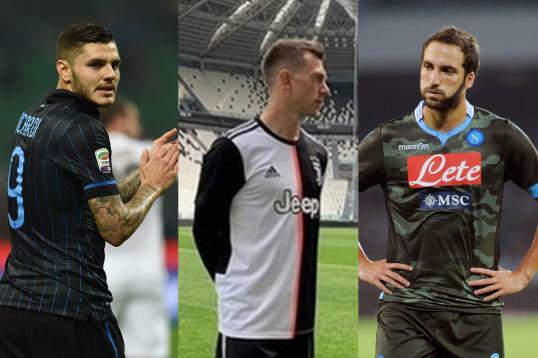 They count 30 Scudetti between them (admittedly the lion’s share with the Zebras) and three of them have major European silverware to their credit. Even the only side without a glorious Palmares, the Sicilians, boasts one of the continent’s hottest properties, Javier Pastore. Surely, in the parlance of secondary teachers everywhere, they could do better. 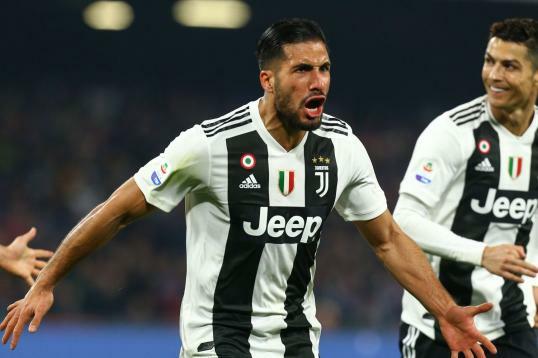 Last week, Italy’s Champions League deputation gave an amazing show of strength to deliver three wins out of three and all but book their places in the knockout stages. It was the first time Serie A sides had completed such an “en plein” since October 2006. Thanks to Optapaolo for that stat. The chances of the Fab Four in Europe’s junior competition delivering such a message are minimal. Almost from the outset they have looked lacklustre and disinterested, like a surly teenager being told to tidy his bedroom. Do we really have to? Yet they owe it to their own fans and Italian football as a whole to at least give it a go. None of them were exactly dropped into a group of Europe’s superstar sides where qualification was an impossibility. And, as well-documented elsewhere, Serie A’s UEFA co-efficient could really do with a boost. It is quite clear that priorities lie elsewhere. All four sides are doing well in the league and don’t want to risk compromising their challenge there. Nonetheless, it would be nice to see them give their remaining fixtures their all. Juve travel to Poland to face Lech Poznan who gave the Bianconeri a major scare in Turin before drawing 3-3. It is a must-win match for Gigi Del Neri’s men if they hope to progress. Anything less and their final group match at home to Manchester City will become nothing more than a dead rubber. If La Vecchia Signora is serious about rebuilding her image, she needs to revive her European glories alongside her domestic ambitions. The situation is just as delicate for Samp, who host PSV. Such are the fixtures in Group I that even two victories in their last two ties might not be sufficient for the Blucerchiati. They have thrown away a positive start to their campaign and Metalist Kharkiv, along with the Eindhoven side, might be the ones to profit. As for Palermo, they are almost in a critical condition. They have to beat Sparta Prague this week and then hope CSKA Moscow do them a favour in two weeks' time. It is such an improbable mission that the best they can probably hope for is two good performances to salvage some pride. Last but not least come Napoli, who could really do with Liverpool giving them assistance. A win over Utrecht, combined with Roy Hodgson’s men beating Steaua Bucharest, would just about swing the group balance back in favour of the boys from the San Paolo. It would at least set up a great showdown with the Romanian side in the final match of the round. That’s all we can really ask from these Europa boys at this stage. If one or two of them could sneak through, it would be a major triumph. At the very least, we have the right to expect them to get out of their beds and show a bit of fight.